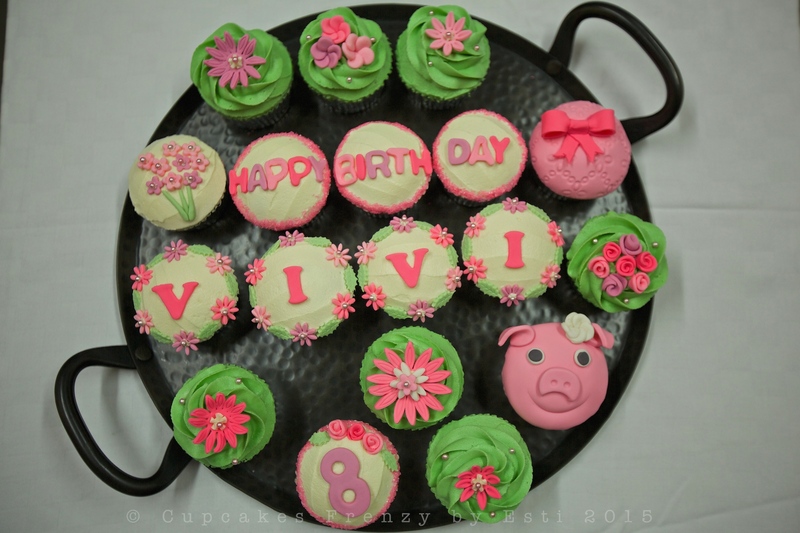 These cupcakes are travelling to Singapore today, a very special ones for Vivi’s 8th birthday celebration. Her Mum told me that she loves pink flowers, pink ribbon and pink piggy (she’s born in the year of Pig in Chinese zodiac). I baked Nutella filled chocolate cupcakes and did the topper as per her request, packed them in secure cupcake boxes and off they go. This entry was posted in birthday, buttercream, Cupcakes, favorite, note from the baker and tagged 8th birthday, baked from scratch, birthday celebration, edible art, flower cupcake, Manila, nutella chocolate cupcake, pink piggy cupcake, pink ribbon cupcake, travel. Bookmark the permalink.